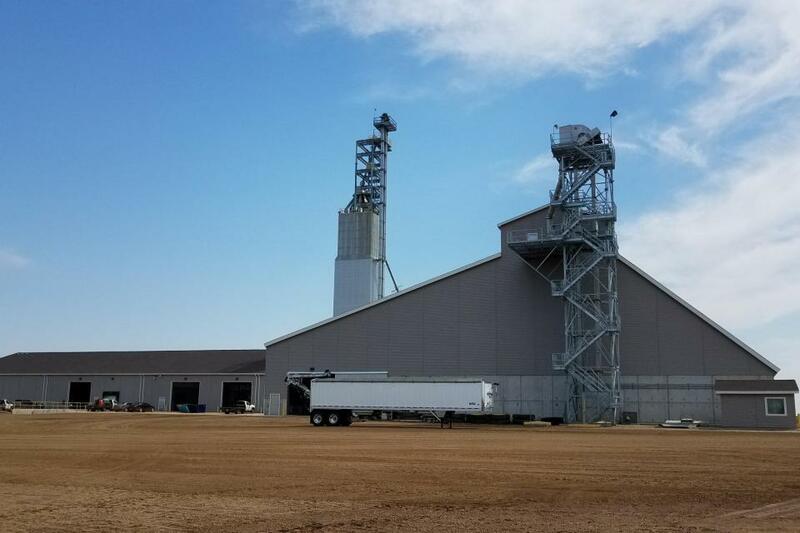 Eastern Farmers Co-op, operating as a division of CHS Inc., announced plans to construct a new agronomy center near Colton, SD (in northern Minnehaha County) for the 2017 season. The new plant handles 30,990 tons of dry fertilizer storage and 1,500 tons of liquid fertilizer storage. The facility also provides crop protection services and seed warehouses. The receiving bucket elevator operates at 800 tons per hour and feeds the over-bin transfer belt conveyor.